1. 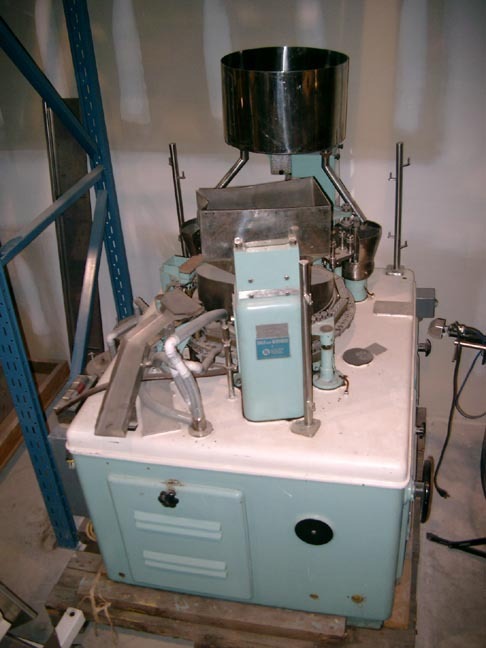 Used Zanasi Model Z25 Automatic Capsule Filler. Serial # 20049. Unit has a maximum output capacity of up to 25,000 capsules per hour. Equipped with size "0" change parts. Complete with vacuum canister, Stainless Steel contact parts, capsule and powder hopper, start/stop controls. Was last used in a vitamin facility. Equipped with 3 phase, 60 cycle, 230 volts motor. Dimensions: 57"W x 57"D x 70"H. Machine is available for immediate delivery.